Bullying doesn’t happen by accident, it is a deliberate, repeated act. Bullying can take many forms. It can be physical and/or emotional. Emotional bullying happens directly (verbally) and indirectly (for example, doing something behind the victim’s back). Stop Picking On Me written by Pat Thomas and illustrated by Lesley Harker is part of a series that looks at difficult issues. Other titles in the A First Look At series examine death, disability, health and fitness, sibling rivalry and family break-up. Stop Picking On Me begins by explaining that bullies may look the same as other people but they behave differently, they hurt other people with their words and/or actions. 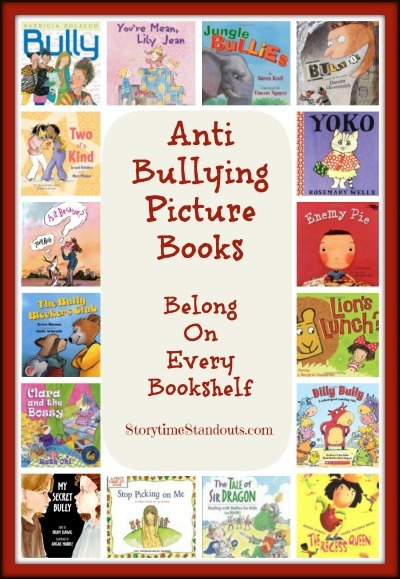 The book goes on to explain that bullies sometimes victimize people they perceive to be different and that bullies have often experienced bullying themselves. The need for each of us to feel loved is explored and bullying’s impact on the victim is looked at. Suggested ways to cope with bullying include talking with someone about the problem and feeling good about oneself. This book will be most effective if the various observations and suggestions are discussed and explored thoroughly. It could be used together with a role playing activity or an examination of a situation from different points of view.